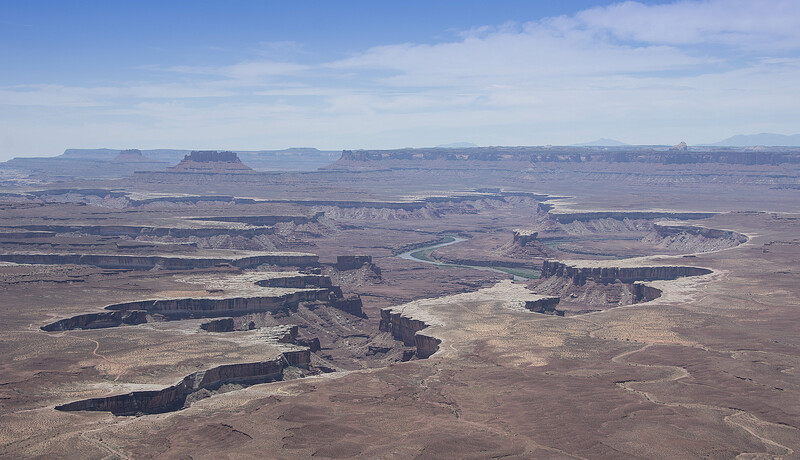 Today we ‘did’ Canyonlands National Park or at least the part known as the ‘Island in the Sky’. 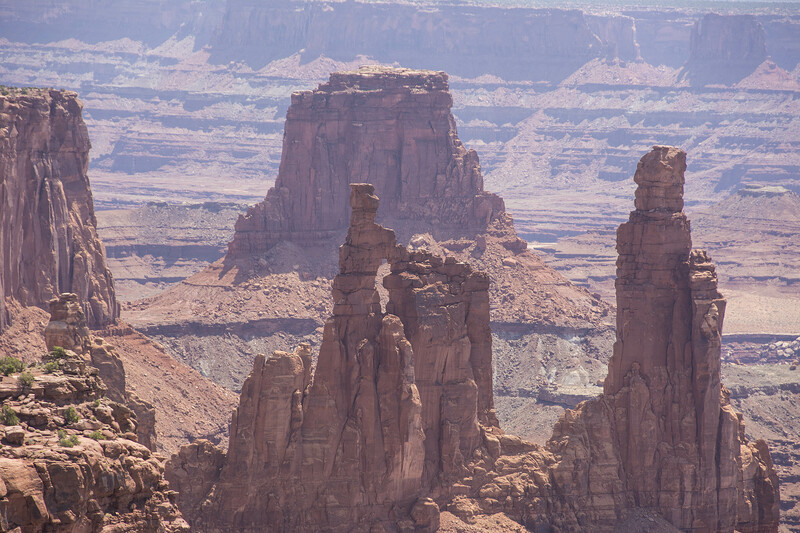 The colourful landscape has been created due to erosion which in turn has created countless canyons, mesas and buttes by the Colorado River, the Green River and their respective tributaries. 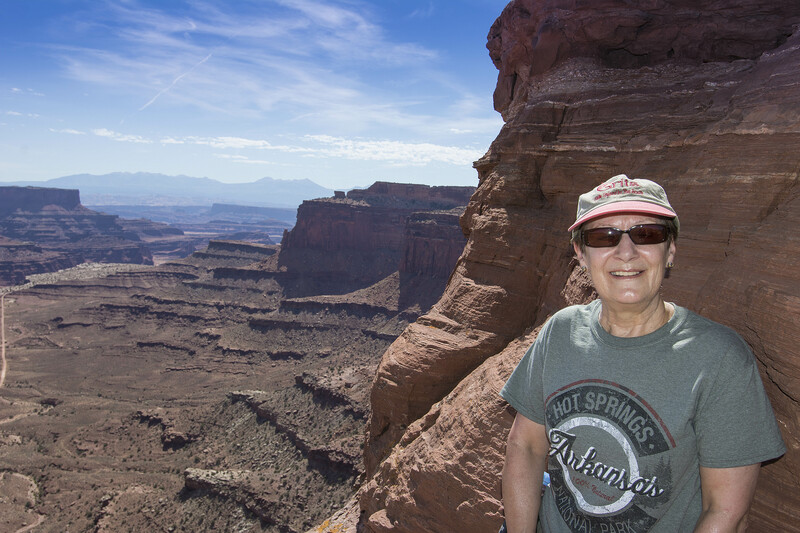 The day started with the temperature in the high 80’s and by the time we left it was touching 100 degrees. 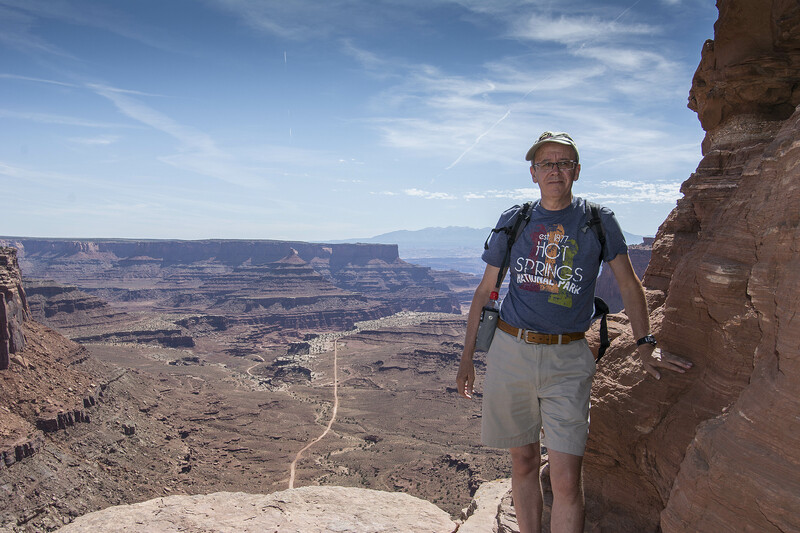 Hot weather for hiking in that’s for sure but the magnificence of Canyonlands made it worth the toil and sweat!! 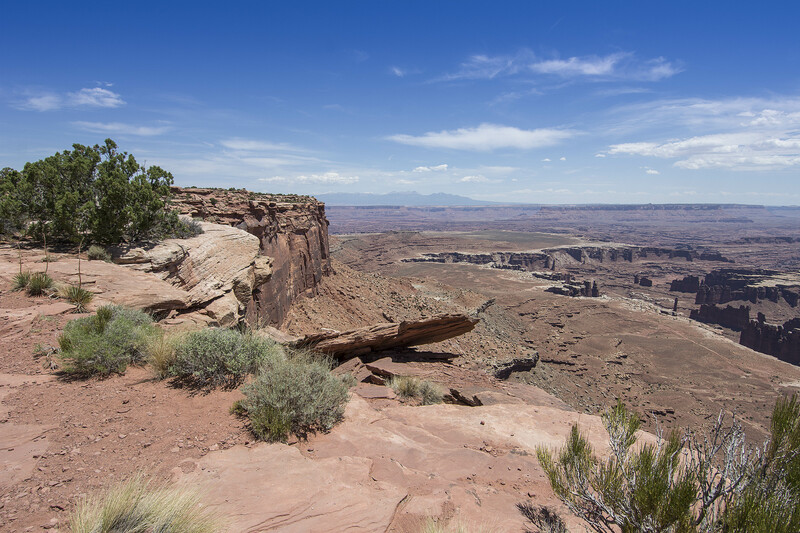 It has taken 245 million years for Canyonlands to look as it does today. Asking how sandstone is made we were told that it’s sand, water, pressure and time. It is a very inhospitable place. Trees only grow to a maximum of about 20 feet high and have very shallow roots. At this time of year some of the cacti are flowering. During the day most of the animals stay out of the sun preferring to come out in the cooler evening. 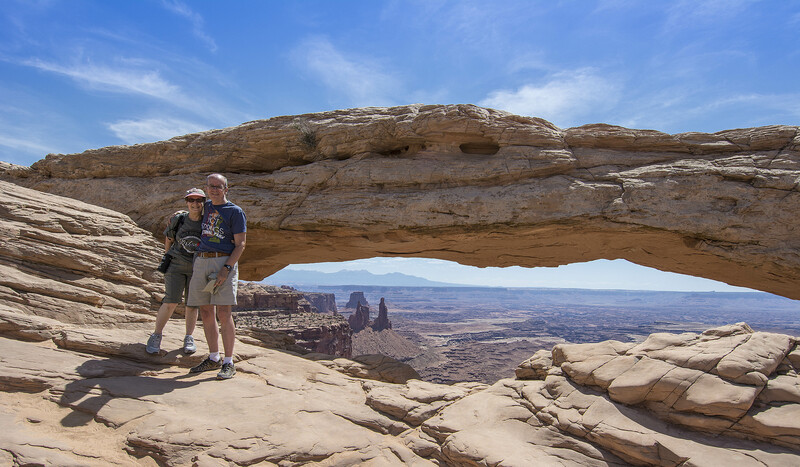 One of the most famous arches is Mesa Arch. Photographers go very early to get pictures of the sun rising through the arch. 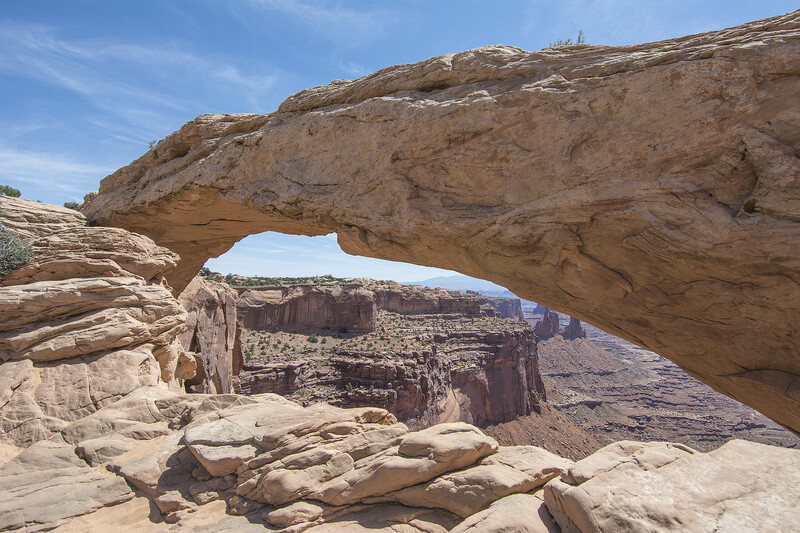 Arches are created through water erosion and one day this famous arch will just fall into the canyon below. 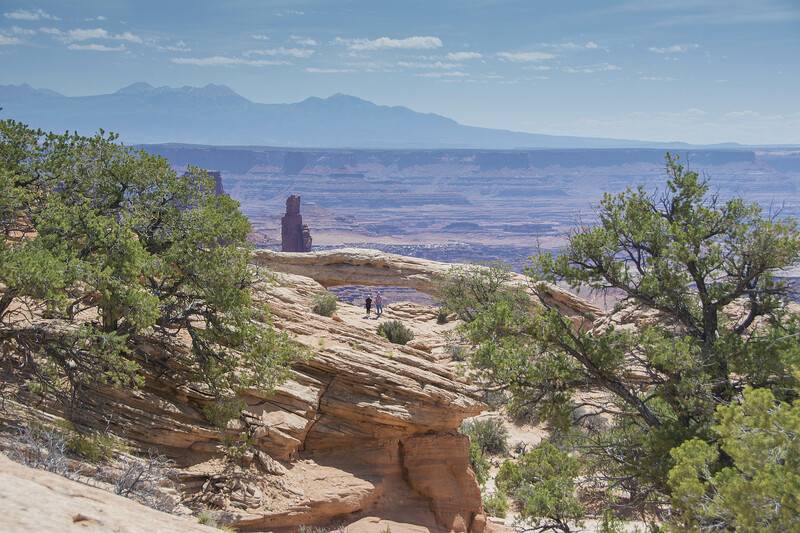 Visitors from all around the world enjoy the wonderful views. Today we saw Japanese, French, German and Belgians. It felt as though the whole world was here on holiday with us. One thing that did surprise us was that at 7000 feet in the high desert we actually managed to cross another two licence plates off of our licence plate game so the trip was doubly worth it. We’ve only got to get two more States (Hawaii and Delaware!) We don’t have a clue where we are going to get Hawaii from!! Looks magnificent, you have seen some stunning places, takes me back to watching the old cowboys films/TV progs like Wagon train, Bonanza etc. Hi Ann, yes it’s just like that and really, really hot too. I don’t know how the cowboys survived out here!! Thanks Nat, your country is very beautiful. Yes, we are being sensible with our hats and water. Ohhh, the cactus flower is beautiful. 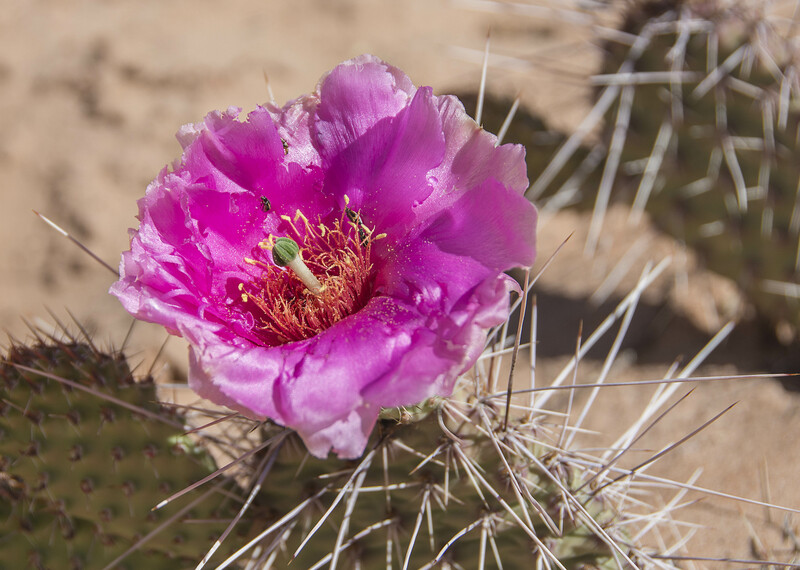 It’s amazing that a flower can bloom in the desert! I hope you are using your sunscreen! Yes, it is amazing Dot, sometimes there’s just one standing on its own. Yes, using lots of sunscreen.